I am a PJ Masks Official Blogger. 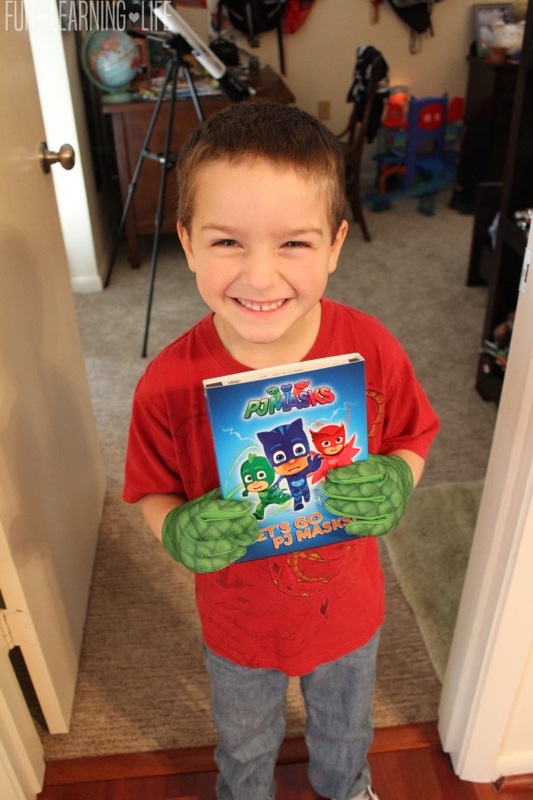 A special thank you goes out to PJ Masks for sending my family a copy of the Let’s Go PJ Masks DVD as well as providing a copy for giveaway! Opinions expressed are that of my own. 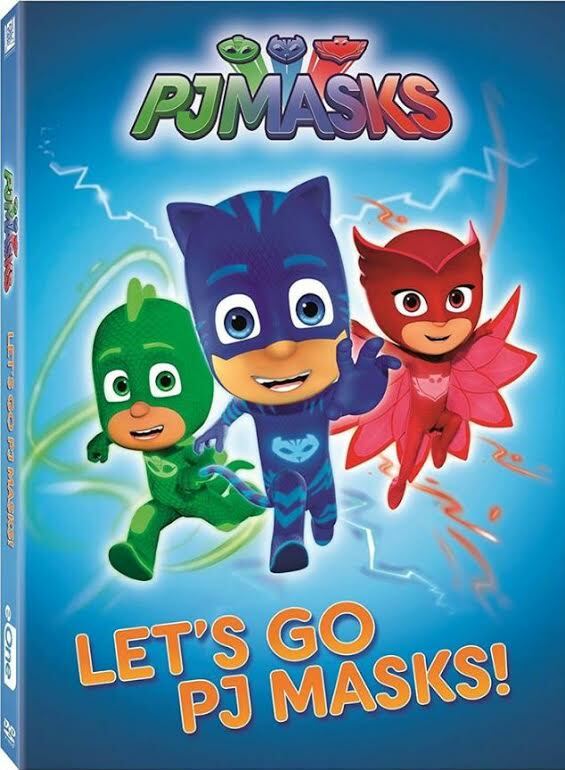 If your kiddos are asking for more PJ Masks, never fear the Let’s Go PJ Masks DVD is here! In the new release, it’s up to Catboy, the real parade leader, to save the day from Night Ninja, but he doesn’t think he can lead the Ninjalinos without his drum. Plus, when Luna Girl turns a sleepwalking Cameron into her very own human puppet it’s up to the PJ Masks to save the day…but Gekko has to stop messing around first. Does your child watch PJ Masks? Which is their favorite character? My 4 year old couldn’t wait to start watching the Let’s Go PJ Masks DVD and was deeply intrigued by these episodes. 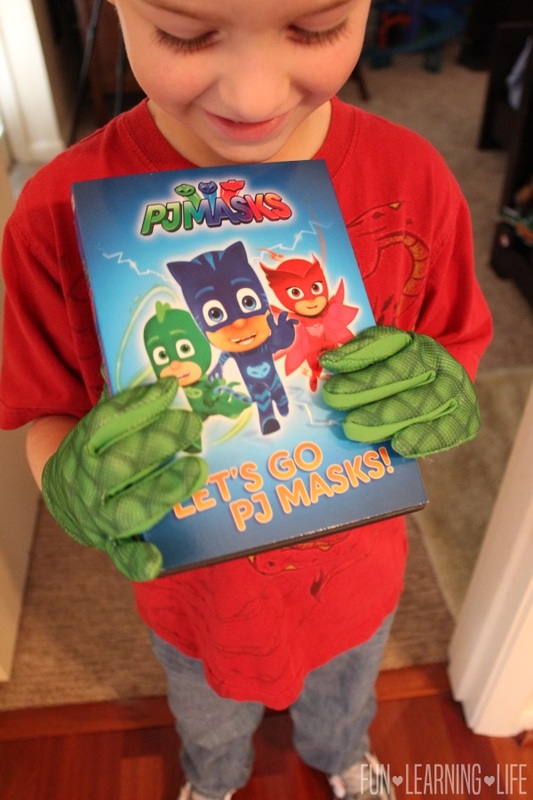 He is definitely a fan of PJ Masks as displayed in his wearing of Gekko’s Gloves. Looking for more PJ Masks Merchandise? 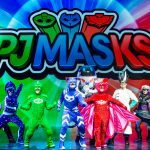 Visit 11 Fantastic PJ Masks Gift Ideas for Your Preschooler! To learn more about this Disney Junior Series visit PJMasks.com, or check them out on Facebook at facebook.com/OfficialPJMasksUS and Twitter at twitter.com/pjmasksus. * Participates must be 18 years or older to participate and live in the contiguous United States. Odds are based on the number of entries, and by participating, you agree to these terms and the laws set forth by your individual state. Entries will only be accepted through the Rafflecopter Form, and Fun Learning Life is not responsible for disruption of the page or service which could cause problems with entering. The winner will be contacted through email (make sure you check your spam or junk mail) with the Subject line “Let’s Go PJ Masks DVD Winner”. Shipping information, including email, phone, and address will be collected at that time. The winner has 48 hours to respond, after that an alternate will be chosen, and so on and so forth. Fun Learning Life does not sell personal information. The prize will be fulfilled by the sponsor. Fun Learning Life does not share information with 3rd parties unless specifically expressed in a specific promotion or giveaway. This giveaway is not associated, nor sponsored by Facebook. 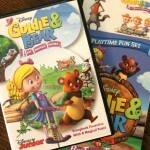 Disney’s Goldie & Bear: Best Fairytale Friends DVD Review and Printable Coloring Sheets! My son loves PJ Masks too and he is 4 as well! He would absolutely love this DVD so thank you so much for the chance to win it, as I can't afford to buy it right now! My child does not watch PJ Masks but I think it is a show that they would like. Thanks for the giveaway. I hope that I win. 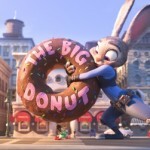 I don't know if my nephew watches this, but it looks really cute and I'm sure he'd enjoy it. Thank you! My son watches it! He likes Catboy! This is the first I've heard of this show. I think my son would enjoy it. My son absolutely LOVES pj masks. Catboy is his favorite person ever!!! My grandsons love to watch this show! Their favorite is Catboy! My 3 year old grandson loves PJ Masks. He takes me by the hand and asks me to sit and watch it with him. My nephew has never watched this. We currently don't watch it. My son really likes CatBoy! My kid's haven't seen PJ Masks yet. Our three year old daughter is a HUGE PJ Masks fan. Owlets is her favorite right now, but she switches between all of them. She even has an Owlette hoodie with wings that she wears all of the time! They don't but it looks cute and like something they would enjoy. I HAD TO LEARN THE SONGS IN ONE AFTERNOON...MY GRANDSON THOUGHT I WAS AN ALIEN FOR NOT KNOWING THE SONG'S. I KNOW THEM NOW, AS I SIT WITH HIM OFTEN TO WATCH THEM. I PURCHASED THE CAPE AND MASK FOR HIM AND HE DRESSES UP AT LEAST THREE TIMES A WEEK. I THINK HIS FAVORITE IS "CATBOY"(CONNOR). MY GRANDSON "MAJOR" IS THREE YEARS OLD AND IS LEARNING HIS COLORS AT HIS DAYCARE, AND HE POINTS OUT THE COLOR BLUE WHENEVER HE NOTICE THE COLOR, THEN BEGINS TELLING ME ABOUT AN EPISODE HE WATCHED THAT CATBOY WAS LEDING THE RESCUE...OH MY GOODNESS, I SOUND JUST LIKE HIM" TO THE RESCUE"
Hi! Thanks for the post! Leo loves Cat Boy! I just want to know if the DVD has subtitles options. Marta.